Jean Piaget was a Swiss psychologist and genetic epistemologist. He is most famously known for his theory of cognitive development that looked at how children develop intellectually throughout the course of childhood. Prior to Piaget's theory, children were often thought of simply as mini-adults. Instead, Piaget suggested that the way children think is fundamentally different from the way that adults think. His theory had a tremendous influence on emergence of developmental psychology as a distinctive subfield within psychology and contributed greatly to the field of education. He is also credited as a pioneer of the constructivist theory, which suggests that people actively construct their knowledge of the world based on the interactions between their ideas and their experiences. 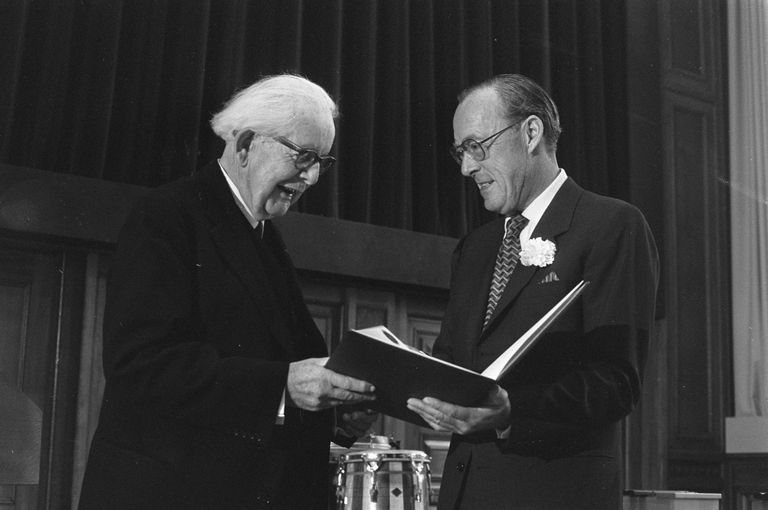 Piaget was ranked as the second most influential psychologist of the twentieth-century in one 2002 survey. Jean Piaget was born in Switzerland on August 9, 1896, and began showing an interest in the natural sciences at a very early age. By age 11, he had already started his career as a researcher by writing a short paper on an albino sparrow. He continued to study the natural sciences and received his Ph.D. in Zoology from University of Neuchâtel in 1918. Piaget later developed an interest in psychoanalysis and spent a year working at a boys' institution created by Alfred Binet. Binet is known as the developer of the world's first intelligence test and Piaget took part in scoring these assessments. While his early career consisted of work in the natural sciences, it was during the 1920s that he began to move toward work as a psychologist. He married Valentine Châtenay in 1923 and the couple went on to have three children. It was Piaget's observations of his own children that served as the basis for many of his later theories. Piaget identified himself as a genetic epistemologist. "What the genetic epistemology proposes is discovering the roots of the different varieties of knowledge, since its elementary forms, following to the next levels, including also the scientific knowledge," he explained in his book Genetic Epistemology. Epistemology is a branch of philosophy that is concerned with the origin, nature, extent, and limits of human knowledge. Piaget was interested not only in the nature of thought but in how it develops and understanding how genetics impact this process. His early work with Binet's intelligence tests had led him to conclude that children think differently than adults. While this is a widely accepted notion today, it was considered revolutionary at the time. It was this observation that inspired his interest in understanding how knowledge grows throughout childhood. He suggested that children sort the knowledge they acquire through their experiences and interactions into groupings known as schemas. When new information is acquired, it can either be assimilated into existing schemas or accommodated through revising an existing schema or creating an entirely new category of information. Today, he is best known for his research on children's cognitive development. Piaget studied the intellectual development of his own three children and created a theory that described the stages that children pass through in the development of intelligence and formal thought processes. (1) The sensorimotor stage: The first stage of development lasts from birth to approximately age two. At this point in development, children know the world primarily through their senses and motor movements. (2) The preoperational stage: The second stage of development lasts from the ages of two to seven and is characterized by the development of language and the emergence of symbolic play. (3) The concrete operational stage: The third stage of cognitive development lasts from the ages of seven to approximately age 11. At this point, logical thought emerges but children still struggle with abstract and theoretical thinking. (4) The formal operation stage: In the fourth and final stage of cognitive development, lasting from age 12 and into adulthood, children become much more adept and abstract thought and deductive reasoning. Piaget provided support for the idea that children think differently than adults and his research identified several important milestones in the mental development of children. His work also generated interest in cognitive and developmental psychology. Piaget's theories are widely studied today by students of both psychology and education. Piaget held many chair positions throughout his career and conducted research in psychology and genetics. He created the International Center for Genetic Epistemology in 1955 and served as director until his death on September 16, 1980. Piaget's theories continue to be studied in the areas of psychology, sociology, education, and genetics. His work contributed to our understanding of the cognitive development of children. While earlier researchers had often viewed children simply as smaller version of adults, Piaget helped demonstrate that childhood is a unique and important period of human development. His work also influenced other notable psychologists including Howard Gardner and Robert Sternberg. "In the course of a long and hugely prolific career, he contributed important scholarly work to fields as diverse as the philosophy of science, linguistics, education, sociology, and evolutionary biology. Above all, however, he was the developmental psychologist of the 20th century. For two decades, from the early 1960s to the early 1980s, Piagetian theory and Piaget's research findings dominated developmental psychology worldwide, much as Freud's ideas had dominated abnormal psychology a generation before. Almost single-handedly, he shifted the focus of developmental research away from its traditional concerns with social and emotional development and toward cognitive development." If you want to learn more about Piaget, consider some of these biographies of his life. Bringuier, J.C. (1980). Conversations with Jean Piaget. Chicago: University of Chicago Press. Evans, R. (1973). Jean Piaget, the man and his ideas. New York: Dutton. Piaget, J. (1952). Autobiography. In E. Boring (ed). History of psychology in autobiography. Vol. 4. Worcester, MA: Clark University Press. For a further exploration of his ideas, consider reading some of the source texts. The following are some of Piaget's best-known works. Piaget, J. (1936) Origins of intelligence in the child. London: Routledge & Kegan Paul. Piaget, J. (1945) Play, dreams and imitation in childhood. London: Heinemann. Piaget, J. (1970) Main trends in psychology. London: George Allen & Unwin. Piaget, J. (1970). Genetic epistemology. New York: W.W. Norton & Company. Piaget, J. (1973). Memory and intelligence. New York: BasicBooks. "The principle goal of education in the schools should be creating men and women who are capable of doing new things, not simply repeating what other generations have done." Brainerd, C. J., & Reyna, V. F. (2005). The science of false memory. New York: Oxford University Press.